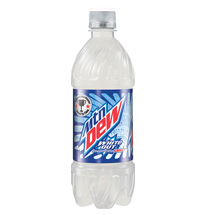 In an offical email to the repersentivies of the Dew Labs, it states, “That’s right, all of your hard work in DEWmocracy is official and hitting the shelves this Monday, October 4th.” To go along with the launch soon after at 7-Eleven stores nationwide sometime in January of the new year. Couldn’t find the other two, but I did not enjoy White Out. Aftertaste is so weird.